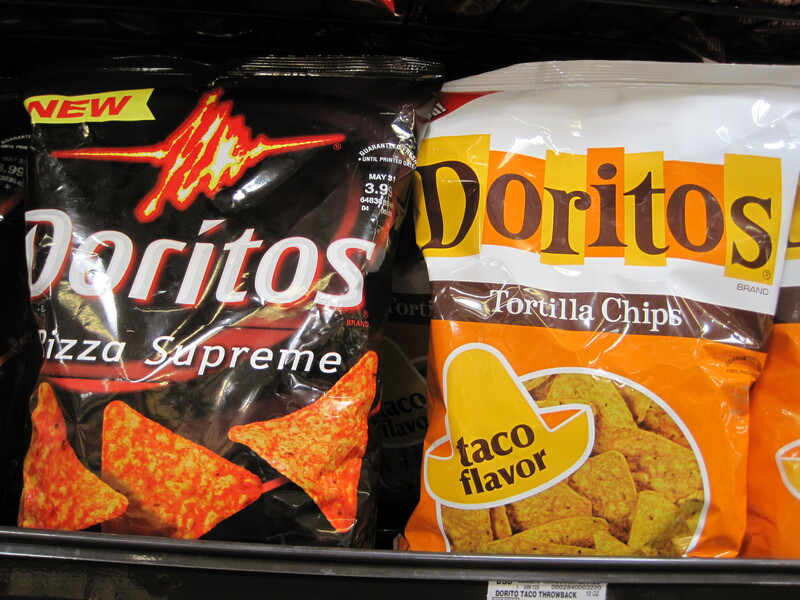 This is an odd one, but I tried Pizza Supreme Doritos the other day on a whim at Subway. Now, I am a long-term fan of Doritos, though I have largely eliminated them from my life due to their being messy and also generic junk food avoidance. But I still indulge once in a while and standard Doritos are honestly one of my favorite flavors of all time. Sad, but true. I am also a big fan of pizza-flavored Pringles and Goldfish, so I had high hopes. Unfortunately, In my opinion these did not live up to the promise. It seems to me that most variant Doritos skimp on the flavor, and this is no exception. I also thought they tasted way too much like Taco Doritos, which always tasted like Doritos, but wimpier and staler to me anyway. If I were to pick up a Doritos variant, I think I will stick with Ranch Doritos. They are still not as good as the original but they are at least different enough to be interesting. I used to love the taco flavor! I’ve ditched the Doritos for Pirate’s Booty though. Viva la White Cheddar!